THE MOST ANCIENT OF HORSE and dog breeds arose in the vast desert-scapes of the Middle East and Central Asia. There are still places in this region to be found where the centuries-old nomadic traditions exist in a relatively undiluted state. We have little physical evidence of the origins of the ancient breeds. Whatever evidence remains can be discovered in some of the oral traditions, in archeological artifacts, and in literary allusions. One of the oral traditions is that of the recitation of genealogy, or pedigree, similar to that one can find written down in venerable religious or classical literary texts. Among the archeological artifacts are sculptures and paintings, mummified animals, particularly in burial sites, and incised scripts. The literary texts include the religious texts already mentioned, poetic works, historical references, and, rarely, business documents. The only other means of compiling an accurate lineage of the ancient breeds will have to come in the future through genetic sleuthing into the genetic markers, which may be unique to specific breeds. The first of the known breeds came about through the domestication of wild species encountered by nomadic tribes while roaming across the steppes and deserts. We may call these first breeds the “primary” breeds, i.e. those which originated through the process of domestication. The other known, subsequent breeds can be designated the “secondary” or “artificial” breeds, i.e. those created through the interbreeding of primary breeds or through subsequent variation and selection, often for a particular functional specialization. In addition, other influences have played a role, a kind of “tertiary”-level process, in the continuous modification of all established breeds. It is a kind of “drift” or gradual change in the appearance, or phenotype, or in its gene pool, the collective genotype, of a breed. This tertiary process occurs principally as various characteristics and features of individual animals are selected for with every single breeding decision. It results also from the addition to, modification of, or deletion of genes from the gene pool, due to spontaneous mutations, the recombination that occurs with every single breeding, or the loss of animals from the gene pool. Actually the notion of a “breed” per se is a modern European concept superimposed upon centuries-old species and subspecies for the purpose of standardizing appearance and function. When a group of animals is designated a “breed,” it’s gene pool is usually restricted and separated off from that of other members considerable knowledge, and insight into the factors which precipitate change plus frequent corrections to restore the breed to its intended state. In the Near East region of antiquity (Now called Central Asia and the Middle East), concepts similar to the modern breeding practices of European breeds were utilized and perhaps served as a model for the development of “breeds.” This was long before these practices were established as a formal means for the creation of alteration of a subspecies by human manipulation of a gene pool. Today, when crossing Asia and the Middle East, one sees that the dogs are divided into two distinct classes of subspecies, the “herd guard” dogs and the “hunting” dogs, i.e. the Saluki. These two classes are almost mutually exclusive when it comes to breeding. It is breeding according to function. These were functions that were developed early within the history of the primary breeds by tribal entities for the purpose of meeting specific social needs. Other factors, such as geographical barriers and political events, also entered into the picture and tempered breed development. The desert climate has demanded the development of endurance and a survival capability in the Near Eastern breeds that far exceeds anything that was demanded of European breeds, living in a less harsh environment. The deserts also isolated and limited contact among the tribes. Beyond this, the many waves of political conquest which have rolled through this region have dispersed and redistributed breed animals innumerable times, as good bloodstock was often considered a trophy of war or was destroyed by the events themselves. Among the ancient breeds of this world, which all have their roots in prehistoric antiquity, we might list the Saluki and the Arabian horse, which share geographical origins and also have shared many of the same breeders across the ages. The Saluki and the Arabian have had an even closer kinship because of the function both horse and canine have had in common for hunting game. Together with the falcon, they have constituted an age-old hunting triad, which through selective breeding and highly specialized training grew expert at bringing down all kinds of game. It was this hunting ritual which helped to shape the breeds individually and fostered the physical characteristics which they had in common-speed, endurance, independence, and the ability to work together and with humans. Each animal carried out a unique function during the hunt. The horse carried the rifer. The falcon spotted and helped to immobilize the game. The canine pursued and brought down the game. Some of these functional hunting characteristics were than later developed into even more specialized functions for the breeds, especially the horse, among which functions were those for warfare, companionship, racing, etc. In the spring of 1944 I came across a newly published book about another of these ancient breeds, which offered a number of insights about their origins and the ideas and practices which helped to shape many of the breeds. It was a book by Jonathan Maslow, entitled Sacred Horses, and detailed his ventures into the steppes of Central Asia to find the Akhal-Teke horse, as the political barriers there began to ease towards the dissolution of the Soviet Union. The political barriers along with the geographical isolation imposed by mountain ranges and deserts had gradually served to separate the Akhal-Teke off from the other related breeds of the region and had imposed upon it an extremely harsh existence which has almost decimated the bred. That the ancient Akhal-Teke still exists is a tribute to a few dedicated breeders and few remaining nomadic tribes, who committed themselves to its survival and preservation despite enormous odds and hardship. As a Saluki breeder, I was only quasi-involved while reading about Maslow’s quest to find the Akhal-Teke until I came upon an account of an interview by Maslow with one scholar in Turkmenistan. 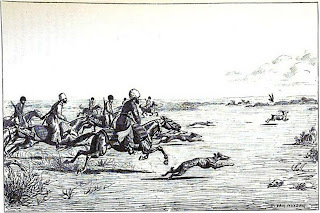 In the interview it was mentioned that the Akhal-Teke was traditionally used to hunt together with the “Tazy” and the falcon. Suddenly a new light shone upon the Akhal-Teke, and I began reading the book again from the beginning. It became clear to me as I read on that the Akhal-Teke was really another strain of the ancient breeds of horses, which have often been referred to generically as Arabians, “Arabian” being used traditionally as a general term for the horses of near eastern origin. Bred like the Saluki for millennia in this region, the Akhal-Teke is an Arabian strain which has undergone several name changes and changes in location across the centuries as it has been taken over by and dispersed to various tribes and nations. 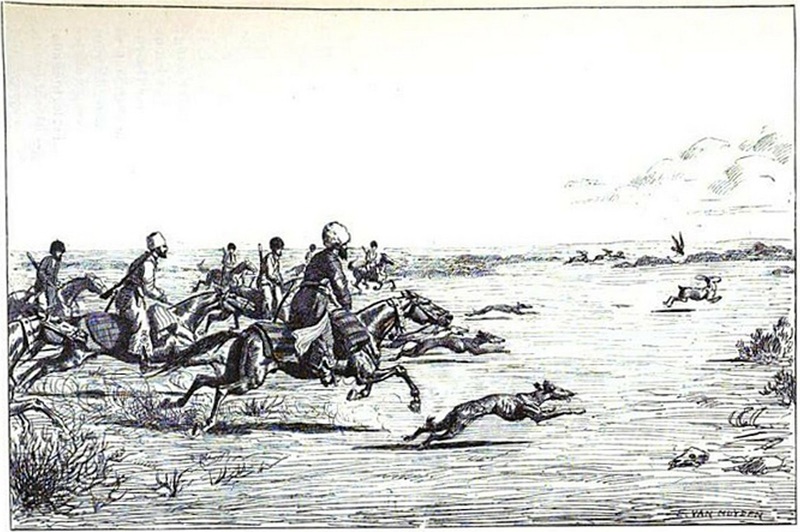 An important clue to its relationship with the other ancient breeds and Arabian strains of the region, besides the historical references, was contained in the continuing practice of hunting with the Saluki and the falcon. The Saluki breeder has no problem with interrelating Salukis from different strains from different portions of the region, be it in the north, where the Saluki is known as the “Tazi,” or down on the Arabian peninsula and across northern Africa, where it is called the “S”luqi” and varies into the more radically different strains, now considered different breeds, the “Sloughi” and the “Azawakh.” What soon becomes clear while studying breeding customs of horse and canine fanciers across the ages is that the notion of a “breed” does not begin to articulate the complexities of types and strains actually found among the ancient breeds, both horse and canine, of the region. In the Middle East and Central Asia these phenotypic variations, as previously described, have derived chiefly from breeding groups centered within the various nomadic tribes. The Akhal-Teke, because of the isolation imposed upon it for so many years, remains perhaps the one breed or strain today that still leads an existence closest to its ancient nomadic origins. When in further reading I discovered that the Akhal-Teke is supposed to have the appearance of a “greyhound”, a premise began to take shape in my mind, namely: it appeared that perhaps the same “standard” had been used by the breeders of the Saluki and the Arabian horse in their development of the horse and canine breeds of the region, probably for the functional purpose of having these different species be able to work together as a team of haunting. It was a “standard,” as the amalgam of ideas about conformation, function, and other essential elements, which seemed to have been transmitted through the oral tradition and to have been applied to different species with similar or associated functions. Now this prospect was fascinating! Was the oral tradition still alive? How did the “standard” of oral tradition differ from the written standards we have in common used in the West today? How have the ancient breeds changed across the centuries? There was much promise contained in this rediscovery of the ancient Akhal-Teke in its native habitat. From the perspective of a fancier of ancient breeds, these breeds are precious jewels of time immortal. They are archeological artifacts, still living, of the millennia. What appeals to breeders of ancient breeds is not only their incarnation of history but their reflection of the unique adaptation and perseverance of various species to what is one of the harshest and most volatile environments in this world. These breeds seem to tap into some of the essences of life itself, which often go unnoticed in a more mundane world. To sum it up, one can refer to a well-chosen quote from Herodotus, which Maslow used in his book. In the Histories, Herodotus says: “It does seem to be true that the remotest regions, which surround the inhabited countries and lie to the outside of them, produce the things which we believe to be most rare and beautiful.” (p139). There is more than just the development of a functional breed inherent in the Saluki and the Arabian horse. The patterns of breeding, the standards used, verge upon being an aesthetics and a philosophy. Not only are these animals creatures of remote regions and ancient civilizations, but they were also bred to the most highly specialized functions and to striking, rare beauty. I went on with the discovery of the Akhal-Teke in this new light, now almost as if on a pilgrimage or a journey of exploration into unseen worlds. The Akhal-Teke, as a premier, ancient breed in its historically and geographically isolated state seemed to offer a singular vehicle for this discovery process and promised as a result to provide new insights into the Saluki as well. The Turkmen are not the first breeders of this horse. Before them, in prehistoric times, the Akhal-Teke were the horses of nomadic tribes of Central Asia, who during their migrations, encountered the wild horses grazing in their range on the steppes of Central Asia and undertook their domestication. After that the horses migrated with the humans in all directions of the compass for thousands of years. They were exchanged among the tribes, who were slowly building bloodstock, in the course of peaceful commerce or were snatched as tribute and by robbery in less tranquil times, which, unfortunately, occurred frequently in the region, the crossroads not only of much trade but also of many tribal disputes and devastating conquering armies. It is thought by some historians that some of these horses passed into the hands of Arab tribes during their conquest of Iran and Middle Asia, which provided in part the basis for the superb bloodstocks they subsequently developed. The Arabs have shown unusual skill at breeding horses for three thousand years, but up until the time of the spread of Islam, they had had only a small number of horses. In an exchange, the great Timur, during the 14th century, brought 5000 mares back from Syria which were incorporated into Turkmene herds. During the centuries that followed, the bloodstock strains of the horses of the Near East began to fall into three principal groups: the “Barbs”, and the “Arabs”, reflecting the northern, western, and southern portions of the Near East region, although the latter term continued in usage for any horse originating from the region as a whole. The southern Arabian, the horse which nowadays is referred to as the “classic Arabian” breed, eventually became concentrated on the strains, at present referred to as the Al Khamsa strains: the Kuhaylan, the Saqlaei, and their related strains. The story of the Darley Arabian is one that provides numerous insights into the value of the ancient breeds and into the breeding philosophy and practices of the region. 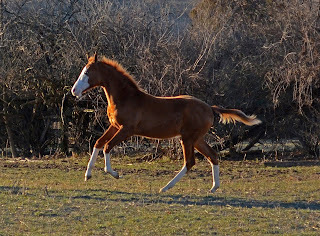 The Darley Arabian has been bred by the Fid’an tribe (one of the “Anaza” confederation of the Bedouin tribes), which in the 17th century was forced by drought to migrate out of the Nejd into the north, into what is now Syria. There they encountered a northern tribe, the Salqa, who had out crossed their classic Arabian strain of Mu’niqi horses with horses of Turkish, or Turkmeme, origin, producing the Mu’niqi-Hadruj strain, which was acquired also by the Fi’dan. Thus was created a new strain of “Arabian,” whose type, combining the sleek, angular type of the northern strains with the rounded outlines of the southern strains, was subsequently to demonstrate enormous promise on the racing courses of Europe. Mr. Thomas Darley, British consul in Aleppo at the beginning of the 18th century and a British horsemen, interested himself in the horses of the local nomadic tribes. He was then invited to participate in a hunt by the chieftain of the Fi’dan tribe and his retainers. During the hunt he had the chance to observe these tribesmen carrying falcons on their wrists, while Salukis coursed alongside their galloping mares. At a later date Consul Darley was asked to choose a colt from the Fi’dan herd as a personal gift from the chieftain. This colt, “Manak,” was eventually exported to England, where he stood at stud. His most famous offspring was the racehorse, called “Flying Childers” (whose dam was also of near eastern origin), considered to be of the fastest racehorses that ever lived. 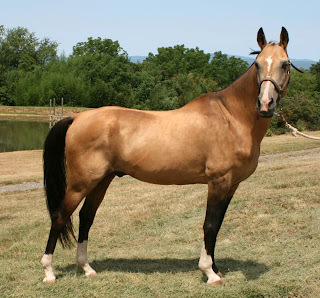 Like the Saluki, the types (and strains) of “Arabian” horse had gradually divided into distinct groups possessing unique qualities: the Kuhaylan (strength and muscle), the Saqlawi (beauty and refinement), and the Mu’niqi (angular, long-bodied). Each horse bred carried the strain name of its dam and, if the horse came down from a line which has been bred consistently within its own strain, it was considered “asil” i.e., “pure-in-strain.” This helps to explain why there are also different “types” and historical strains of Salukis, bred for centuries according to the same ideas. It lends credence as well to how the notion came into being of “purity of strain”, and subsequently of “breed, “ i.e. a “purebred” now being defined in Western terms as pedigree-based along a known, unbroken line of select ancestors. The English were the first to have initiated the written record, or stud book, of this Arab practice of maintaining the genealogy, or pedigree, of an animal. Yet the notion of a “breed,” defined as a select group of animals with common features and ancestors and a restricted gene pool varies from the original, more complex Near East practice of breeding by tribal “strain” or “type,” of an animal. There a “breed” is made up of a number of various “strains” with their distinctive “type,” each “type” with its unique qualities, all of which were utilized in the process of the continuous refinement and improvement of the species or subspecies over the centuries. The concept of “pure-in-strain breeding” rather than single-group “breed breeding” is still paramount to the breeding practices of the Middle East. 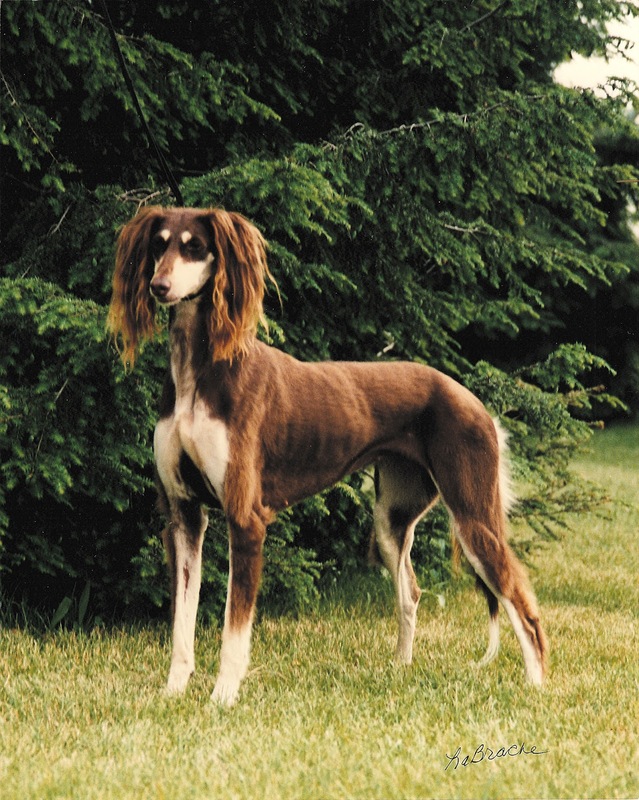 This kind of breeding also underwrites the constitution of the Saluki breed as a whole, a breed made up of many “types” and consequently of many Saluki “strains” as well, which were developed along the same lines as the “historic Arabian” strains. That the terms “breed” and “strain” are now indiscriminately confused obscures and accurate picture of the real development of the Saluki and of the horse in this region. This is in part due to the intense political turmoil which has so often exercised such destruction upon the region. Strains of horses of common origin and related breeding are now designated separate breeds because of the problems of imprecise nomenclature, fragmented genealogy, and political and cultural interferences. The Saluki, which, as a species, remained less subject to political trends than the horse, continues to fit the “historic” definition of the ancient Near East “Arabian” breed and to include the northern strains of “Tazi.” However, in the horse world, the term “Arabian” gradually was reduced to horses bred by Arab tribes and redefined as the “classic Arabian,” despite the fundamental relationship with the northern strains in terms of shared origins and common gene pool. The northern strains then came to be considered separate breeds, whereas in fact they are, and have always been, historically just different strains of the same ancient race of “historic Arabian” or near eastern horse. Even the “classic Arabian” has been put through intense political turmoil with severe damage resulting to the strains. This happened particularly during the expansion of the Turkish Empire, when the best bloodstock animals were forcibly extracted from the Arab tribes and taken down into Egypt, where they were suddenly commingled into a common gene pool. After the fall of the Turkish Empire much of this bloodstock was arbitrarily dispersed or destroyed. There are remnants of what were the finest horses of the southern strains still to be found among the breeding stock of the Royal Agricultural Society in present-day Egypt, which serves as a source of many of the best of the Arab purebloods available in the world today. (However, Egypt is once more in political turmoil.) these modern, pureblood, classic Arabian horses Saluki breeders have been able to see through the collaboration at specialty events of the breed with the Pyramid Society, which has undertaken to help rebuild the classic Arabian horse along it original lines. The Mu’niqi-Hadruj strain which was created by an interbreeding of one of the northern strains of the “historic Arabian” horse with the Mu’niqi, one of the “classic Arabian” strains, is an example of how strain-breeding has proceeded, which example was also followed by European breeders in the creation of many new breeds in the modern age. It’s success as a new strain through the Thoroughbred, and subsequently through the world of horse racing, brings it into prominent focus among the annals of breeding and serves to re-emphasize as well the previous renown and worth of the ancient “historic Arabian” race and northern strains of horses, which have been known throughout the ages respectively as the Sythian, the Parthian, and Bactrain and the Turanian horse: the “Akhal-Teke” strain, or “breed” is the current principal name bearer of this ancient line of horses. The re-alliance of the southern “classic Arabian” type (the Godolphin Arabian) with the “historic-Arabian”, northern type (the Byerly Turk) plus the new combined strain (the Darley Arabian) in the Thoroughbred helped to re-create the European world of horse breeding. It only goes to show the enduring value of the outstanding qualities which had been bred into the horses of these ancient strains. When tapped through interbreeding with horses of European origin, these horses introduced the same qualities of intelligence, speed, and great endurance that had been their renown into the newer breeds of horses. At the same time, the ancient horse acquired new functions, as the horse which had borne the warrior of antiquity became the horse which carries the jockey. During Maslow’s ventures into Central Asia to visit the Akhal-Teke he had many discussions with breeders of this now rare desert-breed, of which perhaps 2000 animals remain in known breeding stocks. He wanted to see the horses in their native environment, to learn about how the horses were cared for, and to discover what qualities were looked for in breeding. After he arrived in Central Asia, he was told: “The Turkmen loves three things,…his horse, his wife, and his hunting dog (Tazy)”(p251). Until the time of the Russian occupation the horses were raised according to tribal conditions. Each tribesman kept one horse and perhaps an additional mare and foal. The horses were used for horseracing and for raiding. Each family maintained the tradition for raising and training the horses. With the Russian occupation of Central Asia, Cossacks were sent to collect the horses into stud farms. Then, with the Bolshevik revolution, private ownership was banned. Upon this edict, many Turkmen tribesmen, who were the principal guardians of the breed, fled with their bloodstocks across the borders into Persia and Afghanistan for refuge. A further edict came down, stating that all breeding practices were to be converted into so-called “scientific” means. At the stud farms Russia breed bloodlines were intermingled with many of the Akhal-Teke. Next a decree was issued ordering the destruction of all “draft” horses and their conversion into food. With this the Turkmen breeders turned their pure breeding stocks loose into the desert to avoid the utter destruction of the Akhal-Teke. It was not until many years later that some of the feral horses of the pure stain were recaptured and serious breeding program to preserve this desert breed was recommenced. What had lent credence to the effort to maintain the breed true to its origins had been a “performance test” carried out in 1935 by some of the tribesmen, who, mounted on their native horses, rode almost 3000 miles in 84 days from Central Asia across deserts and other arduous terrain into the gates of Moscow. During one stretch they crossed 225 miles of desert in three days on practically no water. The stamina and endurance shown by the horses, far superior to that of any of the halo-breeds or the Russian breeds, at last convinced the government of the value of this pure desert bred breed of horses. Their value, which had stood for tremendous speed over long distances when the Thoroughbred was created, now came to stand as well for exceptional endurance and stamina over long distances under the harshest of conditions. These are the same attributes we look for in Salukis, and it is the stamina and endurance which set Salukis off from all other sight hounds and racing breeds of dogs. Today there are two stud farms in Turkmenistan which struggle to preserve the Akhal-Teke. As one Turkmen stated: Many of our Akhal-Teke horses were killed without thought….Someday the horse breeders of the West will want to go back to the original genetic material that produced the Thoroughbred to strengthen the bloodlines….We believe the Akhal-Teke are….the last drops of pure blood that brought forth all race horses of the world”(p63). But there in Central Asia they are basically cut off from regular trading and communication channels, and the economic collapse of the Soviet Union eliminated government support and threw them off on their own to forage for feed and resources. What is happening currently is news which is almost impossible to come by, although the Akhal-Teke has recently been declared a national treasure in Turkmenistan. What is happening with the nomadic tribes and their bloodstocks in Iran and Afghanistan is even more impossible to learn because of the political events in that part of the world. There are Akhal-Tekes in Europe, scattered here and there. The Cases are maintaining a small herd of pure bloodstock in the US withal the dedication of the original tribesmen and are trying to bring their worth to the attention of the Western horse world. The struggle, fraught with enormous difficulties, to maintain this ancient desert bred breed in the modern world shows the need for a strong support system, for more than the usual dedication, and for increased recognition and cooperation among the breeders of all the ancient desert bred breeds, if these unique, invaluable breeds are to survive at all and to be preserved true to their origins. While in Central Asia, Maslow was told how the Akhal-Teke are cared for by the tribesmen. They are kept in small bands, tethered to stakes, and covered with felt blankets. The horses are fed pellets made of alfalfa, barley and mutton fat. This type of management results in a horse which can subsist on small amounts of food and water in a terrain which has extremes of temperature and is devoid of natural vegetation for most of the year. The foals are brought along slowly, being allowed to run first just with their dams, and then later with the other mares. Daily exercise is considered essential so that they can learn to breathe deeply and build strong leg muscles for galloping across the desert. “The Akhal-Teke must run”(p251). The horses are devoted to their master and are suspicious and aloof with strangers. This is not unlike the Saluki, which we know to be bed a diet of mare’s milk, dry bread, and dates in the same native habitat and to demonstrate the same devotion and aloofness. In conversations with the breeders he visited Maslow was told what qualities are bred for in this desert bred horse. They want a long, tapering, slightly concave, aristocratic head with long neck set high on excellent sloping shoulders: high head carriage: flaring nostrils: long, beautifully shaped mobile ears: and expressive eyes having a proud fiery gaze (p61/Case). The head carriage, that is, the ability to hold the head up high, was explained to Maslow as: “In the desert the horse needs to hold its head up high to see for and smell danger a long way off” (p106). This is indeed very similar to the head, head carriage, neck, neck set, shoulders, ears, and eyes bred for in Salukis of quality. The coat is “fine like doe skin” and glossy. The colors are white, black, dappled, bay, and the bright gold with a metallic sheen, that is unique to the breed (p76/Case). The coat is often thin, and the mane and tail are sparse (Description of “The Turkoman Horse” from the pre-revolution Royal Horse Society of Iran/Case). The colors, coat and furnishings are similar to those of a Saluki. The chest is narrow. The withers are long, prominent and muscled. The back is long, lean, narrow, short-barreled and long, pronounced croup and sloping angle of the hindquarters. The legs are long, strong and dry: fine, delicate pasterns: good forearms: and hocks well let down with short cannons of dense bone. The hooves are small with a thick wall of strong horn (p77/106/RHS/Case). Except for the anatomical differences this is very similar to the Saluki standard. The Akhal-Teke has a high, courageous spirit with sparkle and energy (p.77). Its temperament is quiet, but it is easily aroused. It should be bold, alert, intelligent, and will respond will to sensitive training (Case). As Margot Case has explained “Akhal-Tekes can’t be forced. They have to trust their rider. Once they do, they perform like no other, but if you try to push them, they’ll balk. If you break trust with them, they won’t work with you….You have to work with the Akhal-Tekes, not on them.” That’s what people mean when they say that Akhal-Tekes are temperamental. It’s not that they are high strung, only that they are so loyal they seem to have an emotional key different from other breeds (p220). If the description had not been intended for the Akhal-Teke, it would just as well fit the Saluki to a tee, as we all well know. The gait references are for a magnificent action, free and flowing: in all paces a soft, gliding, elastic stride (Case). The trot is high-action, short-stepping but smooth (p258). Again this gait description is very like that of a Saluki. One breeder in central Asia described the most typical and ancient form of the Akhal-Teke as being an animal “with a very “dry” anatomy: a long, narrow, dished face, little mass on the bones, long ears for hearing over desert distances, a long neck, and long, lean legs.” They wanted this dry type “for strength over longer distances”. “Why does the Akhal-Teke win marathons?” he asked rhetorically. “Because of the heart. It must pump blood to every muscle in the body. A thorough-bred will run the first ten kilometers of a five-hundred-kilometer race faster than any horse in the world, but then, because of the weight it carries in it muscle mass, the heart has to work hard, and the horse begins to tire. The dry anatomy of the Akhal-Teke means that heart has to work less hard to circulate the blood”(p302). The general relation of a lean, “dry” anatomy to the capacity for strength and endurance prides a useful explanation for how and why these qualities were bred into the breed. It also explains why a very “dry” appearance is found in many desert bred Salukis and why a “dry” anatomy is also characteristic of the Saluki breed as a whole, compared with other breeds. It also counter indicates the insidious trend to breed up in size and weight and away from moderation for show purposes, because of the subsequent loss in function, speed and endurance that will result. In general: “The Akhal-Teke is a true desert bred horse with a light, elegant build and an original and distinctive conformation….The overall effect is of the long, lean grace of a greyhound” (Case). In working through this description from multiple sources of the Akhal-Teke, an ancient desert bred breed, one is repeatedly reminded of the Saluki standard. If the horse were not being continuously mentioned and if it were not for the anatomical differences, one could easily substitute the Saluki as the object of the discussion. One begins to ponder if, at the basis of all these breeding objectives, there is a general “standard” that over the centuries has been applied to both desert bred breeds, horse and dog. Perhaps, when Western dog breeders formulated their written standards for these desert bred dogs from the same region, they were making the first written formulation of what has been a general standard for breeding in the Near East, one which has been passed on in the oral tradition among the tribes throughout the millennia. The Akhal-Teke still has no formal, written standard, promulgated by a national organization, which is used in judging the breed. As a strain or breed, it still uses the informal standard which has been derived from the oral tradition and which remains within the scope of the ancient, tribal traditions. But this same standard, used for desert bred horse breeds, appears to be almost identical, or is at least very similar, to the formal, written Western standards of the Saluki breed. Yet the breeders of Central Asia in their isolation have had no knowledge of or recourse to Western written standards: and, vice-versa, the Saluki breeders of the West have had no recorded contact with the Saluki (“Tazi”) or horse breeders of this region. The Akhal-Teke is a breed or strain of ancient “Arabian” or Near Eastern horse, coming down in a direct line from the first domesticated horses. Today it remains perhaps closer than any other extant breed to its ancient origins and the traditions which brought it into being. Like the desert bred Saluki, it still has an important role to play in reminding us of what is authentic and unique to these ancient breeds. When we depart from the path forged by these ancient breeds and their breeders, we lose what is vital and essential to these breeds - a loss that can occur with every single breeding decision that does not focus seriously on the preservation of the essential characteristics of the breeds. If we lose the true nature and characteristics of these ancient breeds and many are in serious trouble, we lose gene pools and genetic characteristics which it took millennia to build and which are irreplaceable. The story of the founding of the Thoroughbred only helps to prove that their value is continuous and incalculable. It is the same ecological argument which is advocating the preservation of the endangered, wild species of animals. We also have a problem currently with the notion of standards. There has been a strong effort made to “standardize” breed standards, which the Saluki breed has wisely resisted because of the deleterious effect it would have on a breed which was constituted, like the “historic” and “classic” Arabian horses, from a variety of strains. These were strains that allowed for flexibility in “type” and for development of characteristics which went to ensure the highest quality in the breed. They also allowed for the large and diverse gene pool that is necessary to maintain health and vigor in a breed, and the lack of which is quickly becoming all too apparent as a serious problem in “pure-bred dogs” where gene pools have become too restrictive or by their homogeneity too susceptible to harmful genetic traits. When changes are made without the necessary thought about what is good for a breed, instead of what is good for someone or something else, very destructive mistakes can occur-we have seen their effects over and over in the history of the ancient breeds. For example, one knowledgeable, long term Borzoi breeder told me that the trend towards the two-dimensional, “angelfish” Borzoi began when the standard was changed to allow for an increase in height: however, someone forgot to increase the weight allowance to go with the height increase. The trend towards extremes has obviated the balance, soundness, and functionality of moderation in many breeds. The Saluki breed would do well to adhere firmly to its present standard, which appears to have been formulated, not in this century, but to have been formulated in antiquity and to have guided breeders for ages in their development and preservation of these ancient breeds. What we need for better judging is not a “standardized” standard but better hands-on knowledge of animals: familiarity with pedigrees and the merits and faults of individual animals: awareness of breed characteristics and of negative genetic traits in a gene pool: re-emphasis on strain-breeding: knowledge of breeding patterns and of which particular pattern will improve/correct/fix a trait, maintain vigor, assure special breed characteristics and good temperament, etc. No written standard will ever replace the accumulation of real knowledge and in-depth experience. We who are involved with the ancient breeds can be assured that we have the support of a long and proven breeding tradition behind us. If we learn more about it, if we continue the practices which made and maintained our ancient breeds in the past, we have a strong foundation which will help to carry these exceptional breeds into the future. The path is not an easy one, and it is one that requires special gifts in the people who dedicate themselves to preserving “the rarest and the most beautiful”. The native Akhal-Teke breeders, the breeders who seek to preserve the pure desert bred strains and breeds, know they are dealing with something more than a recreational activity, a sport, or a commercial venture. They are preserving an ancient and noble way of life, whose creatures, beyond being animals, are irreplaceable works of art. They are species bearing unique and highly specialized functions which took millennia to develop and which can be lost in just a short time, if not properly cared for. We are required to be artists, scientists, and curators as well as fanciers and breeders. We need to know the whole scope of our duties to these breeds and the required skills for maintaining them. We need to be innovative and to develop methods and means, in tandem with the breeders of the ancient horse breeds, which will help all our breeds to survive true and intact into future ages. As Maslow indicates, these are not just “sacred” animals, but they are also maintained by “sacred trust”? Much thought and definition can still be lent by each and every member of the trust, those of us who take it on as an avocation when we make a commitment to one of these breeds. As we have seen from the experiences of the breeders of the classic Arabian, and now of the Akhal-Teke as well, these are our friends and allies who share in this sacred trust and it will take that special kind of commitment to preserve these breeds in an authentic state for perpetuity.